As you may have seen in this post we have a huge chalkboard in our living room. We just can’t have enough chalkboards at home, the girls love to doodle and me too, of course. So we thought we could make something pretty for the holidays and wish you all a Happy New Year at the same time, so we did this. I’m not very talented about free writing or drawing, so I printed a cute graphic I found online. Then I grabbed a white chalk and rubbed the back of the sheet, placed it on the blackboard and outlined the letters, that easy! Wishing you a Happy New Year 2016!! 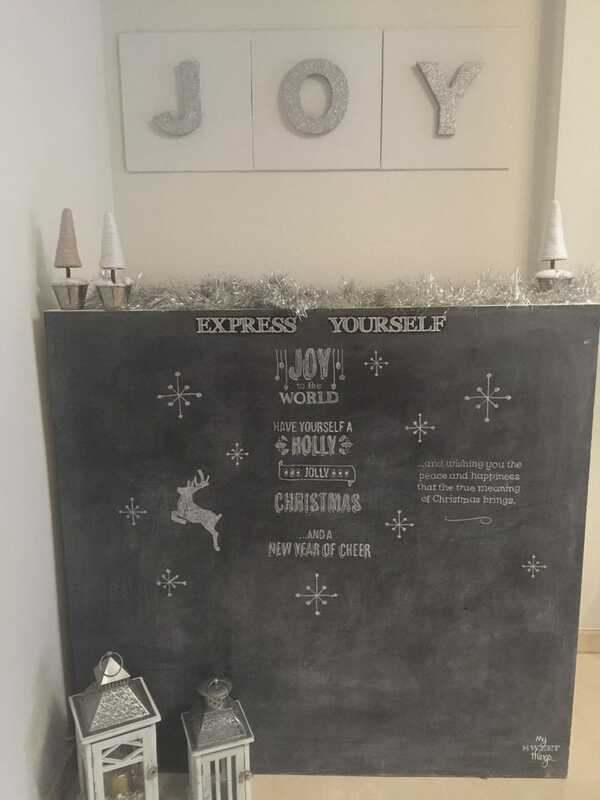 This entry was posted in DIY, Kids and tagged Chalk, Chalkboard, Creativity, Decor, DIY, Kids. Pili, this is awesome!!! 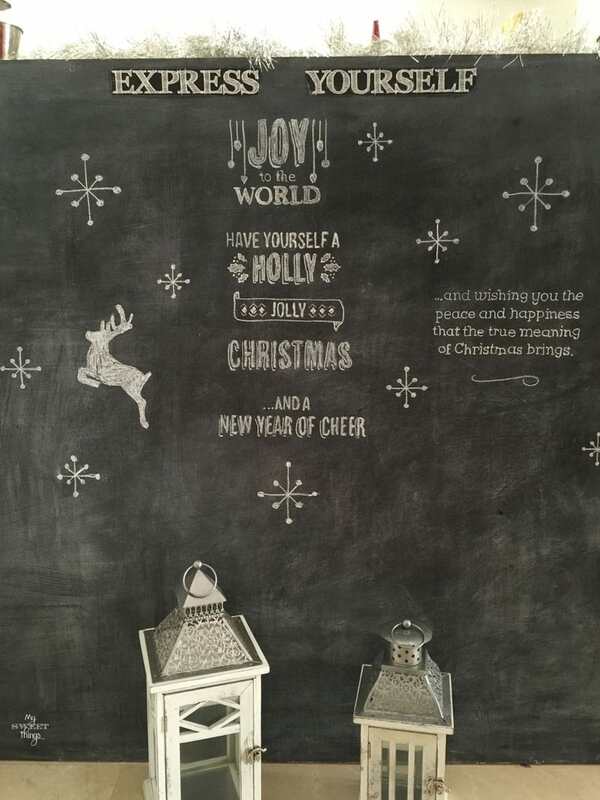 Love the chalkboard!! It looks so pretty and festive!! I really need to try this because I love chalkboard art but I’m not very good at free hand drawing. Nice job! Happy New Year!!! Happy New Year, Katrin!! You are the master of drawing on chalkboard, you don’t need a template! Happy New Year Pili, and happy New Year to your little elves! It has been an honor for me to have met you this past year and to call you friend! I also was able to redo my chalkboard. It’s so much fun to change it up as the year moves along! Happy New Year, Mary! I look back on 2015 and I am so happy I finally took the decision of starting my blog because it has leaded me to know amazing people like you. Thanks for being part of my life. Pili, what a fantastic idea the chalkboard is and I loved seeing (and hearing) your daughters enjoy it so. I wish for you and your family a wonderful 2016! Thank you so much, Lynn. They used to have a little chalkboard from Ikea and they argued a lot because of it… With this big one there is not a single problem! Have a wonderful 2016 you too!! Chalk rubbings! Takes me right back to my childhood. I bet the girls are loving it. Yes, we are loving it! I draw much more now than when I was a child! Hello Pili and happy new year! Thanks so much fun joining and sharing this at Cooking and Crafting with J&J! Happy 2016, Julie!! Thanks for visiting! Happy New Year and this is a beautiful idea! I’d love to use this as a backdrop for my dessert buffets. Hi, Sandra! That’s a wonderful idea, I haven’t thought about that! Happy 2016, thanks for visiting!! Becky, I wish I was so talented… but the only option I have is to use this trick! Happy New Year! This is stunningly awesome! I love the tip about rubbing chalk on the back of the printout ~ genius! Thank you so much Megin! I saw that tip somewhere I can’t remember but it was floating around until I decided to try. It’s so good for us who are not gifted at drawing! Happy New Year Pili! Thanks for coming over and sharing this awesome tip with us at Brag About It! You’re welcome, Laurie!! Happy 2016 for you too!! Woah! That works? Amazing! What a great idea! What you can do on your chalkboard now is limitless! How cool! It looks so incredible! It works, Gigi!! But I found it works with white chalk the best! I’m thrilled to try new designs!! Happy New Year, thanks for visiting! How cute is this? 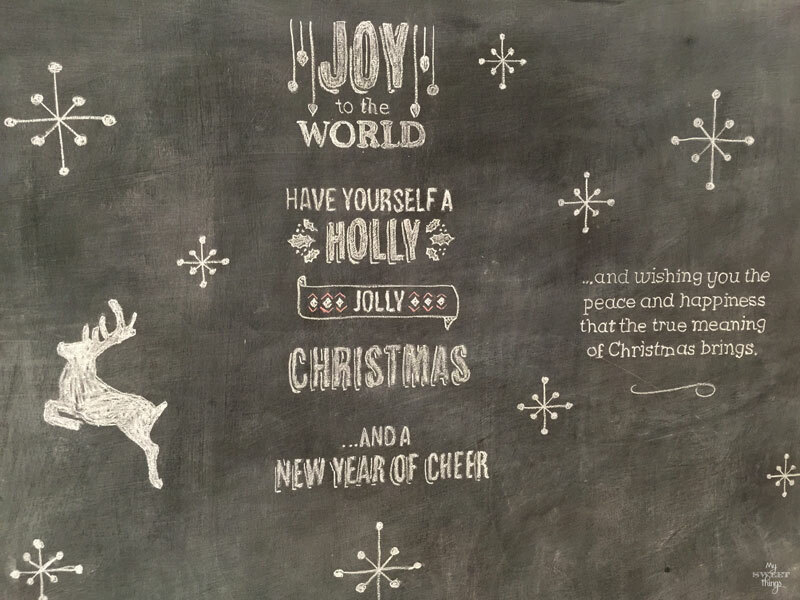 Love your chalkboard wishes! Happy new year Pili, filled with joy! Thank you so much, Ntina!! Happy 2016 for you too! 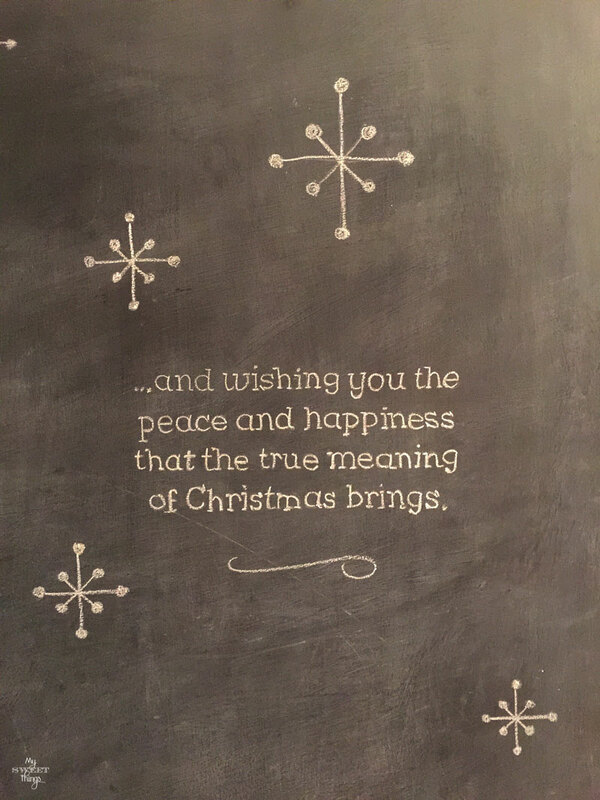 I hope it is filled with joy and happiness! How pretty Pili! This looks great. I hope you had a very happy Christmas and a very happy new year too. Many thanks, Sally! Happy and successful 2016 for you too! Happy New Year, Love!! Thank you for linking up at my craft party! I pinned your entries! Hope you can make it again on Thursday at 7pm EST.! Happy New Year too, Denise!! Thanks for visiting and hosting the party, I won’t be able to link up tomorrow but I’ll see you next week. Take care!